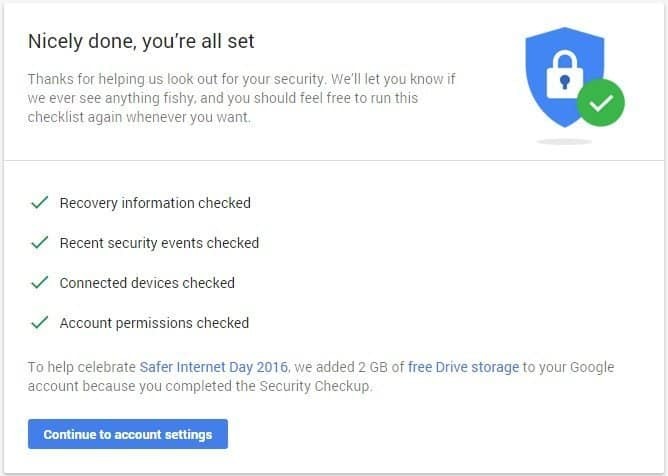 On the occasion of Safer Internet Day, Google is giving something fro free. Yes, you heard that right. 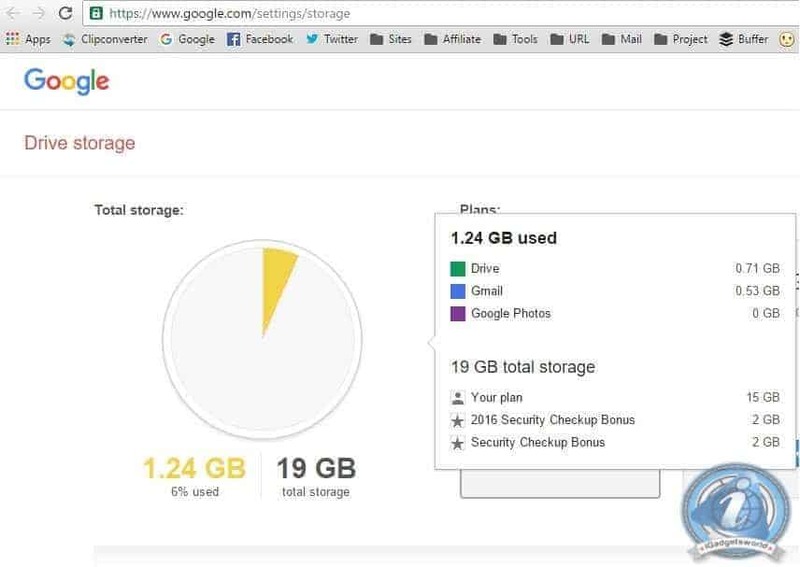 As people are relying a lot on Cloud Storage Google has a gift for you if you upload a lot of stuffs to your Google account. Just go to this link and complete the security check up. Immediately, you will get 2GB of extra storage for your Drive, Email and Photos. This extra storage never expires. You need to follow the link we have added above and complete the following information and confirm is everything is OK with your Google account. If we detect suspicious activity in your account, we use your recovery info to get in touch and make sure no one but you gains access. Reviewing this lets you validate the sign-ins are coming from you and not someone who shouldn’t be using your credentials. This step lets you monitor this list and remove apps and devices that don’t need access to your account any more.